In a blistering attack at former Chief Minister Omar Abdullah for dubbing emergence of new parties in Kashmir as a New Delhi ploy to divide Kashmiri mandate, PDP chief Mehbooba Mufti Wednesday said J&K is not a personal property of the National Conference. Mehbooba’s attack followed Peoples Conference chief Sajjad Gani Lone’s diatribe against Omar Abdullah that he needed ‘mental treatment” for opposing emergence of new parties. “It is unfortunate that National conference considers Jammu and Kashmir as its own estate. 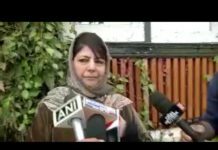 When (former Chief Minister) Mufti Mohammad Sayeed brought Congress in Jammu and Kashmir, they called them worms of dirty drain (as a Delhi’s party),” Mehbooba told reporters here. “When the PDP was formed, they alleged the same thing. 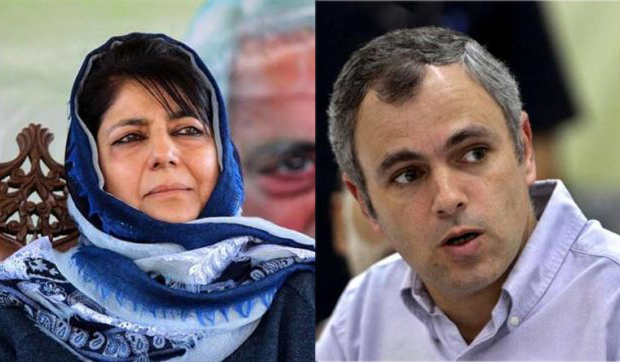 Today when Shah Faseal formed a new outfit, Omar Abdullah says the same thing,” said Mehbooba. The PDP chief said Omar Abdullah feels any party formed in J&K will claim right on their estate of Jammu and Kashmir. “It is a democratic country and everyone has the right to form one’s own party and do politics. Jammu and Kashmir is not a personal property of the NC,” she added. 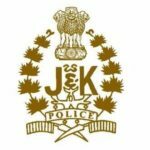 Omar’s remarks came on the day Shah Faesal, a bureaucrat-turned-politician who was reportedly slated to join the NC, launched his own party – ‘Jammu and Kashmir Peoples Movement’. Omar had reacted to the development dubbing it as a New Delhi ploy to divide the kashmiri mandate. “Why is it that these political parties are launched only in Kashmir, why not in Jammu or Ladakh? 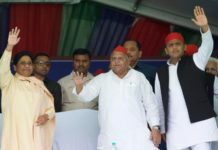 Doesn’t it clearly indicate a ploy aimed at dividing us further?” Omar had asked, addressing his party workers’ convention in Anantnag Monday. “It is a fact that conspiracies have been hatched for long to weaken our special status. While in Jammu and Ladakh, the (political) field is being left open for the Congress and the BJP, here (in Kashmir) there is always an attempt to divide the mandate,” Omar had said, indirectly blaming New Delhi behind the move.